Healthy, quick, grab and go snack with RECIPE! - Real Food. Real Fitness. Healthy, quick, grab and go snack with RECIPE! Are you looking for a healthy, quick, grab-and-go snack for you and your whole family? Most of the so-called “health” bars, granola bars, and protein bars on the market today contain questionable ingredients. Many of which are hard to pronounce, are most likely processed, and genetically modified. Plus they are packaged which means they are full of preservatives. YUCK! Fruits, veggies,grass fed beef jerky and even raw nuts are great snack options. 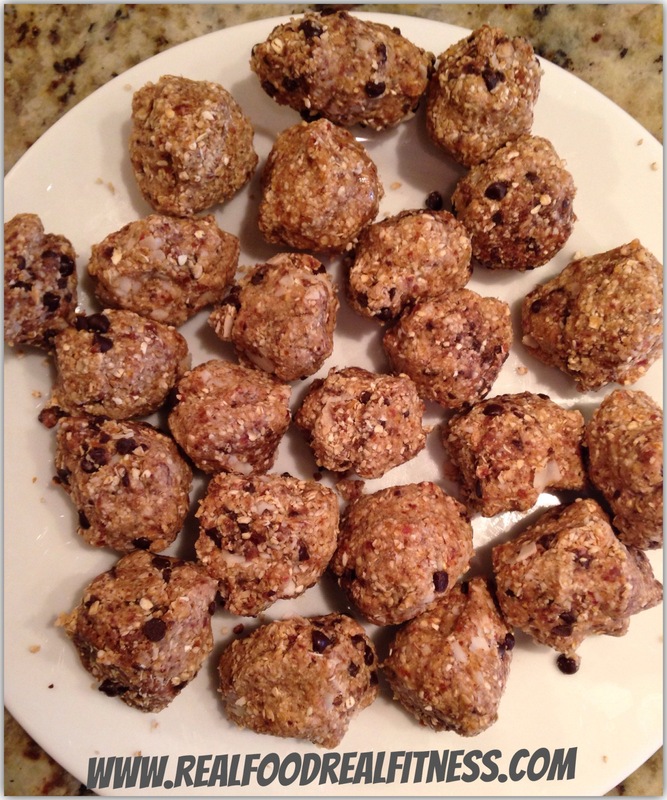 But if you are looking for something a little more filling try my oat energy bites! These delicious little balls are made from REAL food and nothing FAKE! They are full of healthy fats, protein and complex carbs making them a well- balanced healthy whole food snack. I even like to enjoy a few for dessert as they are sweetened lightly with dates and raw honey (natural sugars). Wet hands and roll into balls put in freezer for 20 min to set. Keep in fridge in airtight container to snack on through the week!